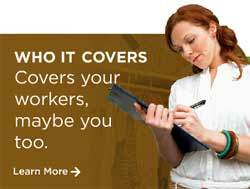 Employment practices liability insurance, or "EPLI," is liability insurance that covers certain employment related claims made by employees. If a manager harasses or discriminates against an employee (or is alleged to have done so), EPLI will provide a defense and possibly claim payment on behalf of the business. Statland & Katz offers you and your business years of experience with a range of businesses and employment practices claims. Our many years of experience, writing EPLI Coverage has shown us that small, fast- growing companies lacking a human resources department are more likely to be sued than a large, established company. That said, both need Employment Practices Liability Insurance. A Statland & Katz fact: In1980, the agency created the nation’s first liability policy specially designed for sports official.